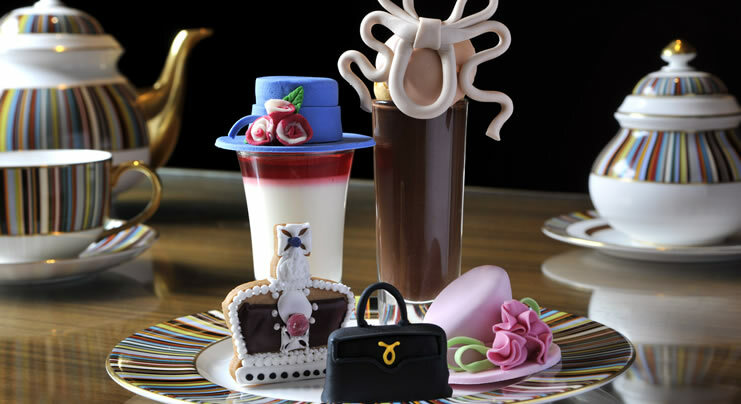 ‘Pret-a-Portea – The Royal Collection’ launches on 29 May in honour of the anniversary of the Queen’s 60th year on the throne, and will feature (in the long-running Berkeley tradition) afternoon tea staples created to look like a selection of fashion items. Dishes directly inspired by some of the Queen’s finest sartorial moments range from a Victoria sponge cake with peach-coloured icing in the shape of a Launer London handbag to a pink lady apple fruit cake baked to look like a hat she wore on a royal visit to Canada (one of more than 5,000 that she’s believed to have worn since 1952), while other royal-inspired titbits include a praline-filled profiterole – a hat-tip, so to speak, to Princess Beatrice’s controversial Philip Treacy Royal Wedding fascinator. £39 per person. 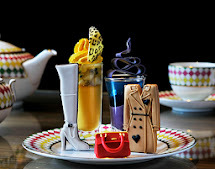 (£49 including a glass of Laurent Perrier champagne, or alternatively for the fashion conscious, £55 per person including a glass of couture champagne). ReservationsFor Prêt-à-Portea reservations and delivery service , please call +44 (0)20 7107 8866. Please place your order minimum 3 days in advance. We are delighted to accommodate nut or gluten free alternatives with 24 hours notice. Please mention any dietary requirements at time of reservation. Hi Katie and Chelsie! Love your blog. I get to London occasionally and will definitely try your suggestions for tea. So great that you found our blog so we could in turn find yours! Thank you Lady B and Dame Ruthie for your lovely comment, we love reading your blog!